Make a statement an ensure that your party date is etched in the minds of your friends and family thanks to our stunning Silver Flirty Silver Invites. 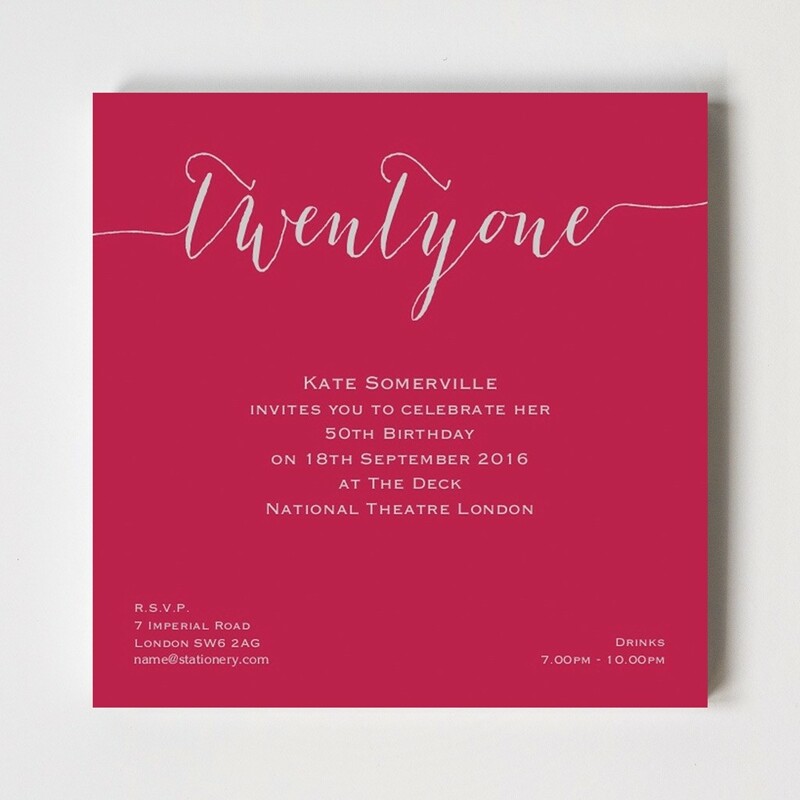 Printed on beautifully shimmery card our square design measures 150xx by 150mm and comes with the option of choosing one of 16 gorgeous ink colours, each with silver lettering shining through. Printed on 400gsm paper stock, our Flirty Silver Invites are supplied with ivory envelopes.